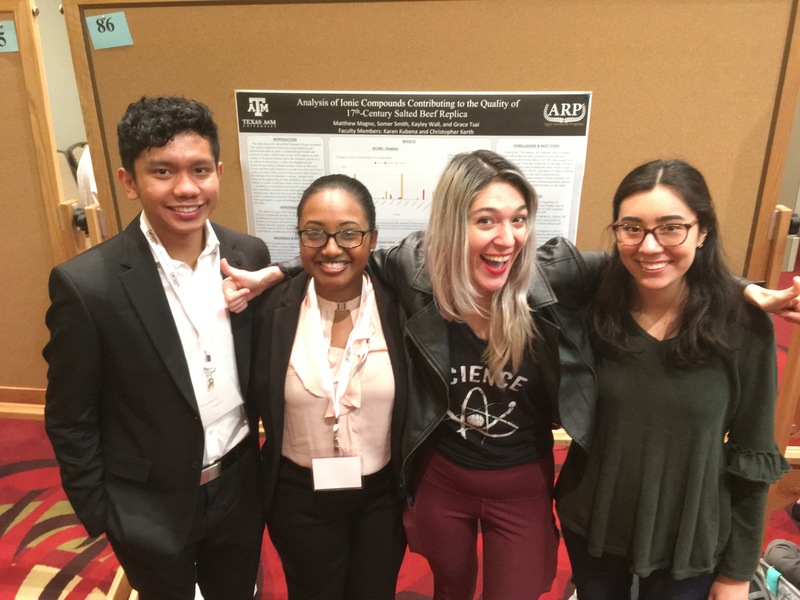 Student Research Week at TAMU is a four-day competition that showcases the different types of research going on in campus. 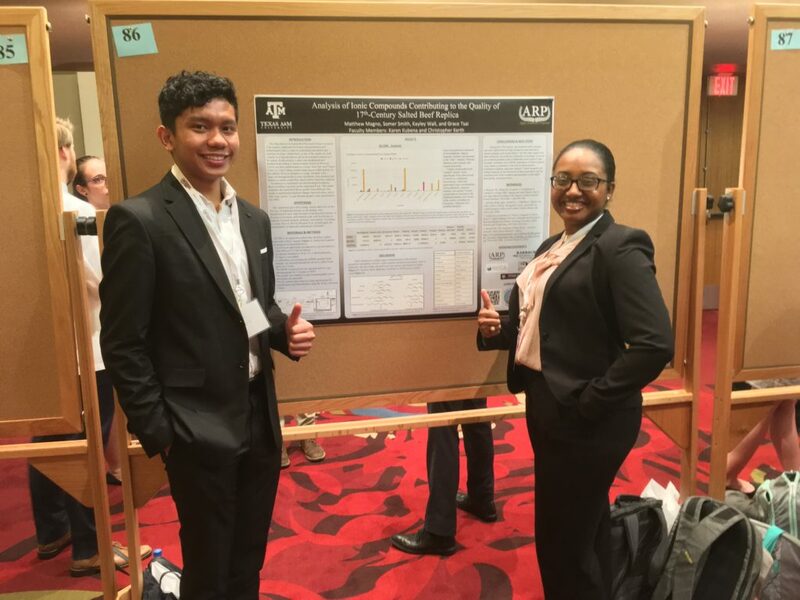 This research week, two members of our team, Matthew Magno and Somer Smith, presented a poster over the “Analysis of Ionic Compounds Contributing to the Quality of Rancidity in 17th Century Salted Beef.” Click here for the full preview of the poster! The poster addressed the analysis of the data over the relationship between the ionic count and the flavor aroma of the meat, explaining that there was an increase in the number of ions for compounds that reflect rancidity. This was attributed to lipid oxidation in the meat leading to the unpleasant aroma and rancidity of the meat. Somer and Matthew presented to two judges as well as several students that attended. The students were intrigued by the research and asked several questions about the poster and the research project as a whole. Somer reported that presenting was very easy for her and she was able to answer several questions about the project. Matthew also reported having an enjoyable experience presenting, saying that although it was his first time, he believes everything ran smoothly. Overall, Student Research Week was a success for our project and displayed the hard work and time our members have put into research so far! Stay tuned for more updates.